The bidHD Company Dashboard provides a real-time snapshot of your company's pipeline. 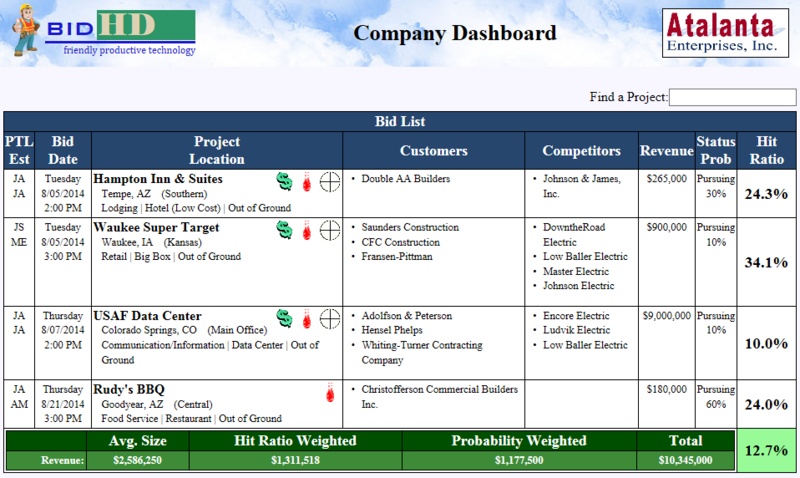 Displays projects that have upcoming awards or that have passed (highlighted in red) to remind your team to follow up on project sales. See what customers hold the biggest piece of your pipeline pie. See the amount of bids put out by month. 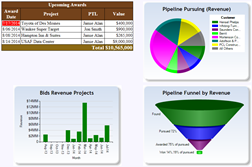 Know the overall hit ratio of all the projects your company has pursued.